Our synthetic grass products provide the beauty of perfectly groomed landscapes yet do not require the demanding maintenance of a natural lawn. We use TigerTurf™ and EasyTurf products which are customized to meet and exceed all of your landscaping desires. Our entire product line is UV stabilized, significantly reducing the chances of fading. Our products have gone through extensive testing and are free of heavy metals guaranteeing your new addition to be safe for all of your loved ones. Above the obvious benefits of saving time and money, our lawn products are free of pollens and other allergens making it a great feature for those who are unable to truly enjoy the outdoors due to allergies. 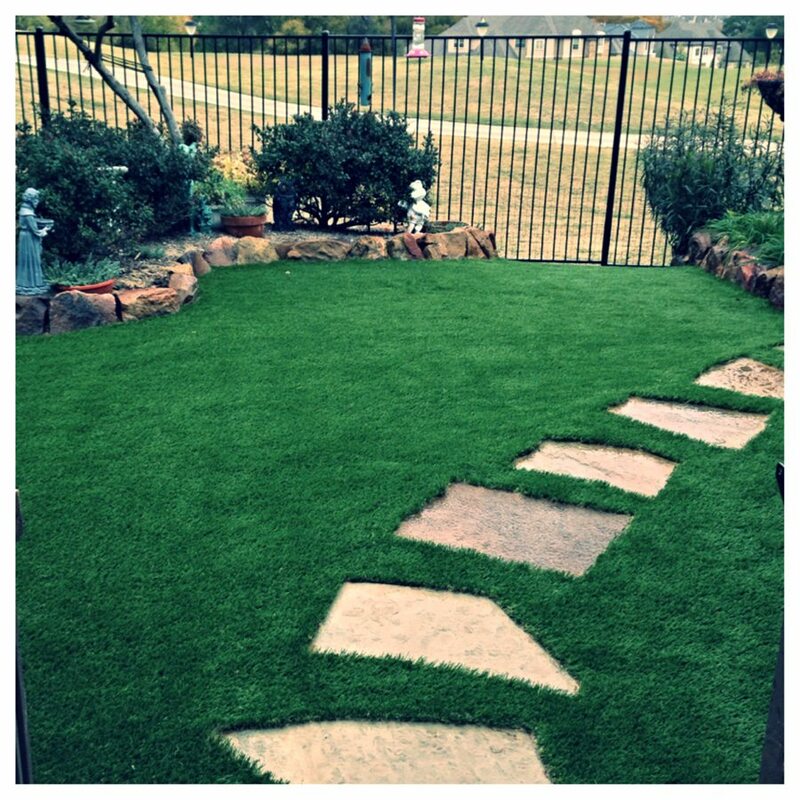 Rest assured, a synthetic grass lawn is THE perfect lawn for all your landscaping projects. Our Austin area clients frequently have sections of their yards that serve as pathways to different areas. These footpaths often lead to side gates, decks or patios, pools, or any other part of the backyard. Because of the high foot traffic, grass in these areas is typically worn down and matted looking. These pathways are invariably spots where weeds thrive, brown, dead spots occur, and a bit of rain turns them to mud pits. The constant usage prevents the lawn from growing properly. However, there is an alternative! Artificial turf is a perfect solution to these challenges. Synthetic grass is a maintenance free landscape option for pathways. 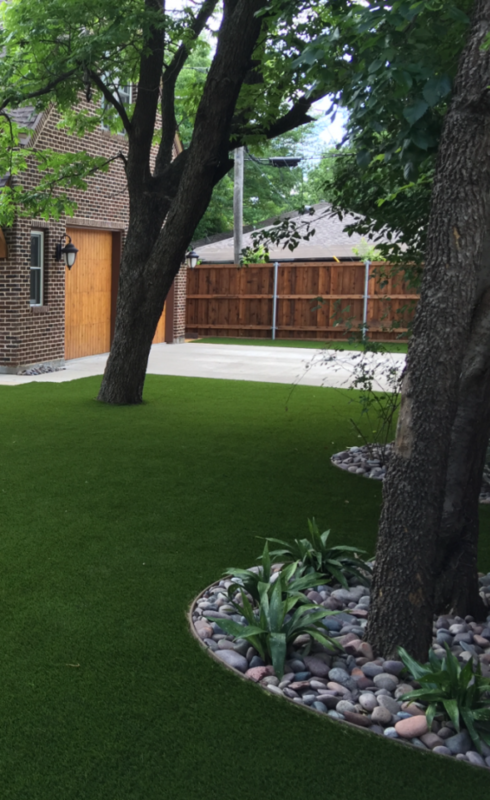 Installing fake grass maintains the aesthetic appearance of a lush, green lawn without the hassle. These footpaths require no mowing, watering or weeding. There will no longer be mud from increased foot traffic or dead spots around pavement tiles from lack of rain. Pathways consisting of artificial turf landscapes are always manicured, green, and easy to maintain.